Panasonic announced that Firefox OS will power the new Panasonic DX900 UHD TVs, the first LED LCD TVs in the world with Ultra HD Premium specification, unveiled today at CES 2016. Panasonic TVs powered by Firefox OS are already available globally, enabling consumers to find their favorite channels, apps, videos, websites and content quickly and pin content and apps to their TV’s home screen. Mozilla and Panasonic have been collaborating since 2014 to provide consumers with intuitive, optimized user experiences and allow them to enjoy the benefits of the open Web platform. Firefox OS is the first truly open platform built entirely on Web technologies that delivers more choice and control to users, developers and hardware manufacturers. 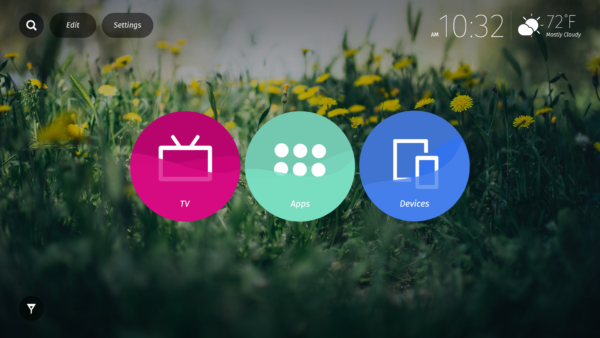 Panasonic TVs powered by Firefox OS already have intuitive and customizable home screens that allow consumers to access their favorite channels, apps, videos, websites and content through the TV home screen. You start off with three choices of “quick access” to Live TV, Apps and Devices – and you can also pin any app or content you like to your TV home screen. The newest version of Firefox OS (2.5) is currently available to partners and developers and adds some exciting new features. This update will be made available to Panasonic DX900 UHD TVs powered by Firefox OS later this year. This update will include a new way to discover Web apps and save them to your TV. Several major apps such as Vimeo, iHeartRadio, Atari, AOL, Giphy and Hubii are excited to work with Mozilla to provide TV optimized Web apps. This update will also enable Panasonic DX900 UHD TVs powered by Firefox OS with features that sync Firefox across platforms for a seamless experience across devices, including a “send to TV” feature to easily share Web content from Firefox for Android to a Firefox OS powered TV. Connected devices and systems are rapidly emerging around us. We often refer to this as an Internet of Things, and it indeed is creating a network of connected resources, very much like the traditional internet. But now it also connects the physical world, creating a possibility to enjoy and manage our environment in new and interesting ways. To create a healthy connected device environment, Mozilla believes it is critical to build an open and independent alternative to proprietary platforms. We are committed to giving people control over their online lives and are exploring new use cases in the world of connected devices that bring better user benefits and experiences. We look forward to continuing our partnerships with developers, manufacturers and a community that shares our open values, as we believe their support and contributions are instrumental to success. Working with Panasonic to offer TVs powered by Firefox OS is an important part of our efforts.